Vote in our elections on April 27, 2019, 11am to 5pm at the Vallarta Super Market Parking Lot. Everyone 14 and up can vote for your candidates. 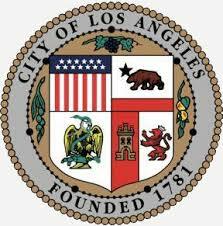 Are you interested in working together to make our neighborhoods safe and beautiful? 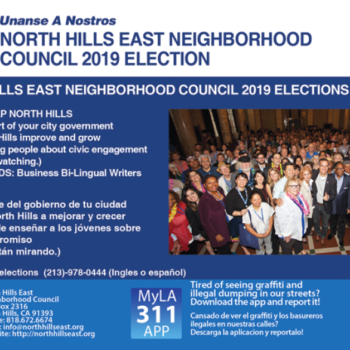 Run for a seat on the North Hills East Neighborhood Council on April 27, 2019. North Hills East Neighborhood Council was proud to help sponsor National Night Out at North Hills Community Park on Tuesday, August 7. 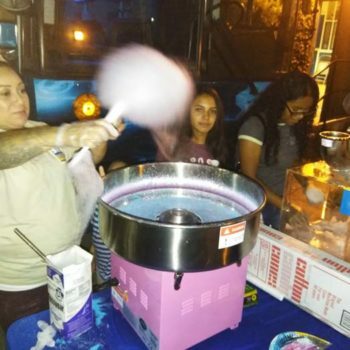 This fun event is part of our effort to take back the park for the community to use. 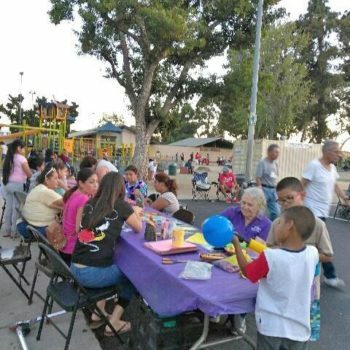 North Hills East Neighborhood Council supported Summer Night Lights 2018 at the Sepulveda Recreation Center providing crafts, treats and other fun activities. 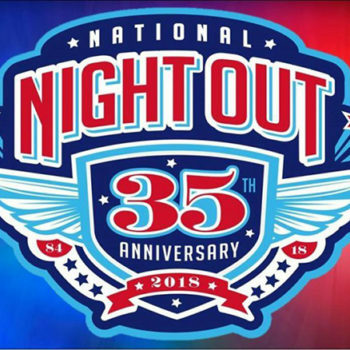 National Night Out is an evening of fun for the community and police to partner against crime. 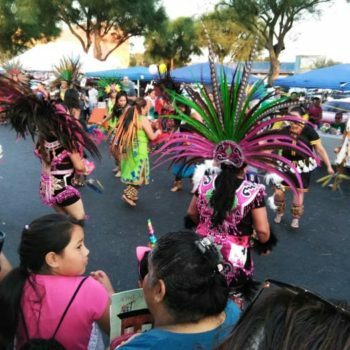 Join us for live music, games, free food, fresh drinks and much more! 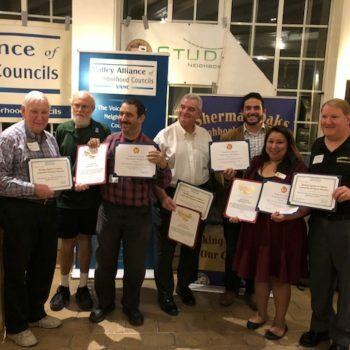 North Hills East Neighborhood Council was commended for partnering with two other Neighborhood Councils to provide Community Emergency Response Team training classes in English and Spanish and provide the participants with emergency kits. 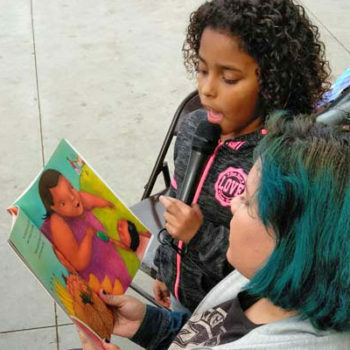 Saturday, December 23, 2017 we hosted a fun afternoon in the park where kids got to do holiday crafts, read stories out loud and receive special gifts. A great day of community building! 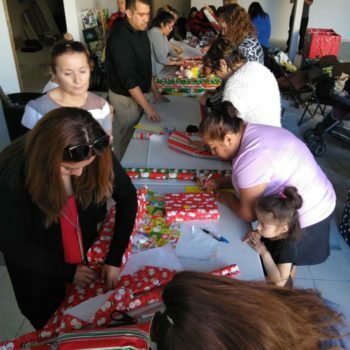 The North Hills East Neighborhood Council organized a Holiday Fun Day with a host of partners on Saturday, December 16, 2017 to bring the community together at the holidays. 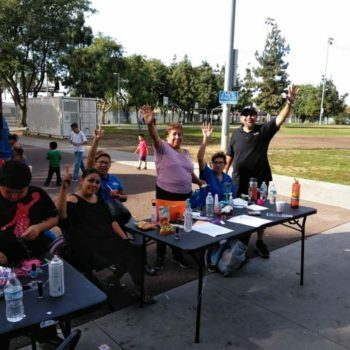 Everyone had fun at our December 2, 2017 Park Project. It was a great day to get out, see neighbors and have a good time at the beginning of the holidays. Lots of happiness!